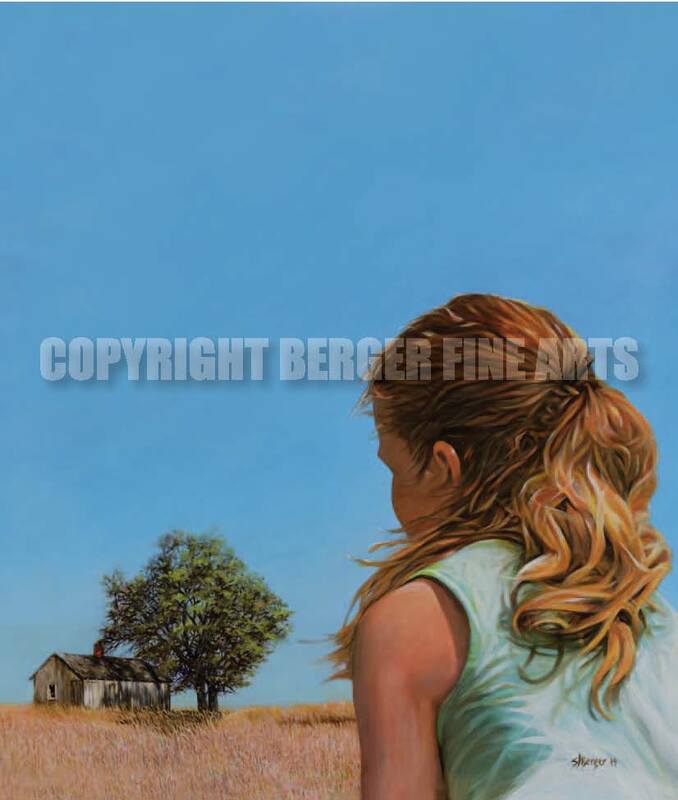 A beautiful summer day is depicted here. The only thing that remains of the farm is this small shed. This scene is duplicated all over the midwest, remains of farms slowly dwindling back into the landscape. Makes you wonder what happened and the history of the homestead. The original of this painting measures 36"x 32" and is available for purchase.